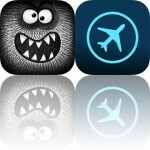 Turn any iDevice into a teleprompter, learn Portuguese, and improve vocabulary skills with today’s collection of apps. Learn Portuguese – MosaLingua ($4.99 → Free, 45.3 MB): Learn Portuguese in no time with this language app. Everyone from students to frequent travelers. MosaLingua will help you memorize thousands of Portuguese vocabulary words, key phrases, and conjugations in no time. All it takes is five minutes each day for two months and you will have memorized 600 words and key phrases. Nothing to it, right? 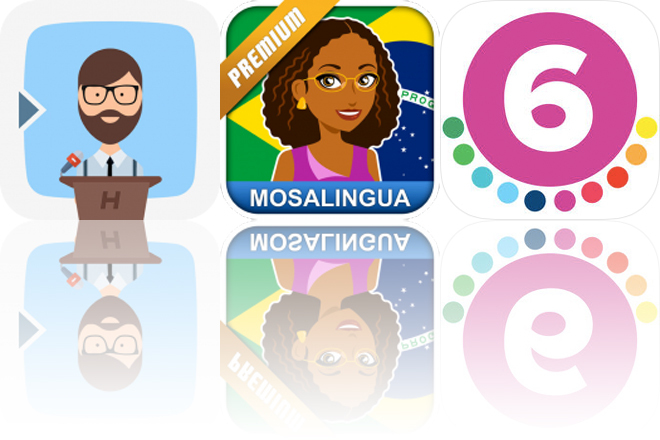 The app utilizes a flashcard system with audio pronunciations by native Portuguese speakers. MosaLingua includes more than 3,000 flash cards, 14 categories, more than 100 subcategories, and the ability to unlock fun bonus content. Learn Portuguese – MosaLingua is available for free for a limited time. It has a 5-star rating with a total of 32 ratings. Prof. Hornet Teleprompter Pro ($8.99 → Free, 61.0 MB): Turn your iDevice into a professional mobile studio with Prof. Hornet Teleprompter. Anyone with something to say. Prof. Hornet Teleprompter is perfect for almost any situation that requires reading from a script, whether that’s a school or business presentation, wedding toast, or YouTube video. Scripts can be imported from multiple sources including cloud services and email, just as long as they are TXT, RTF, DOC, or DOCX file types. You’re also able to create a new script within the app. Script text can take on a wide variety of fonts, sizes, colors, and alignments. The teleprompter can be configured with different countdowns, modes, speeds, and more. When the time comes, just hit play and start reading from your script. It will automatically scroll close to the camera, ensuring that you’re always looking at the lens. The app also includes a reading guide and line indicator, the ability to share scripts, and Apple Watch support. Prof. Hornet Teleprompter Pro is available for free for a limited time. It has a 4.5-star rating with a total of 13 ratings. 6th Grade Vocabulary Prep ($2.99 → Free, 41.3 MB): Improve vocabulary skills with 6th Grade Vocabulary Prep. Parents and teachers. 6th Grade Vocabulary Prep will help your child learn new words and their definitions. They’re able to take vocabulary quizzes that feature a word at the top of the screen and four possible definitions at the bottom. Whether they guess right or wrong, your child will be able to see the correct definition along with the word used in an example sentence. 6th Grade Vocabulary Prep includes hundreds of vocabulary words to learn, and adheres to common core standards for 6th grade. 6th Grade Vocabulary Prep is available for free for a limited time. It has a 4-star rating with a total of 17 ratings.